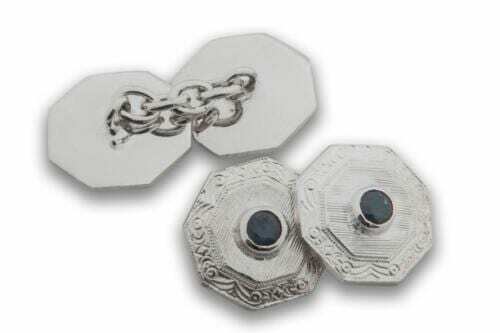 A ‘Top Level’ Regnas Hand Crafted Product. 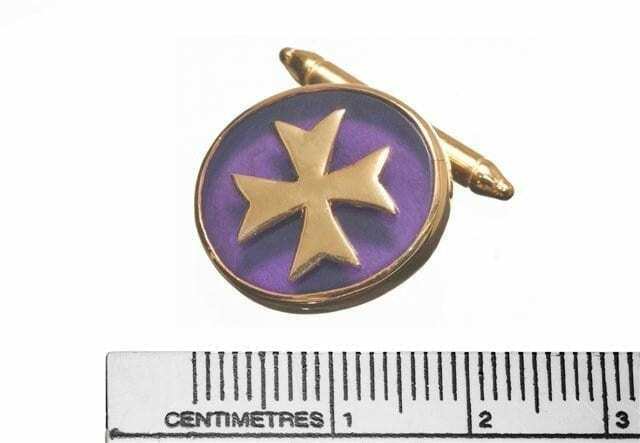 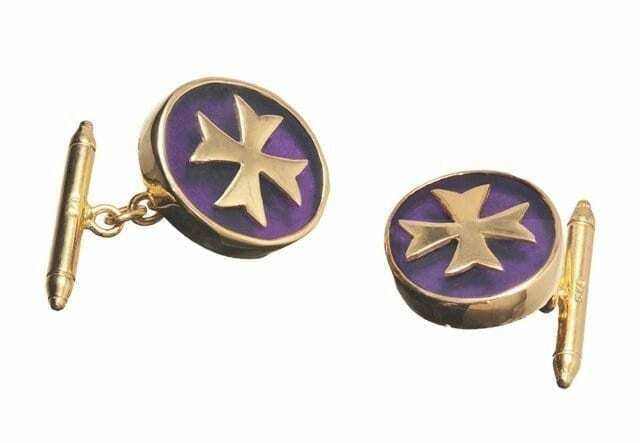 Ovals of high quality synthetic amethyst have the Maltese cross in gold plated (5 Micron 18 K Gold) sterling silver overlaid to them to create these wonderful amethyst cuff-links. 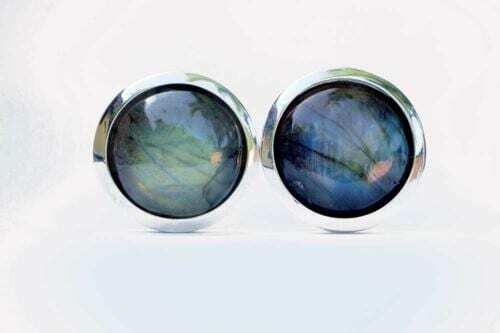 The ovals measure 18 x 16 mm (23/32 x 5/8 inch) which is about average size.. 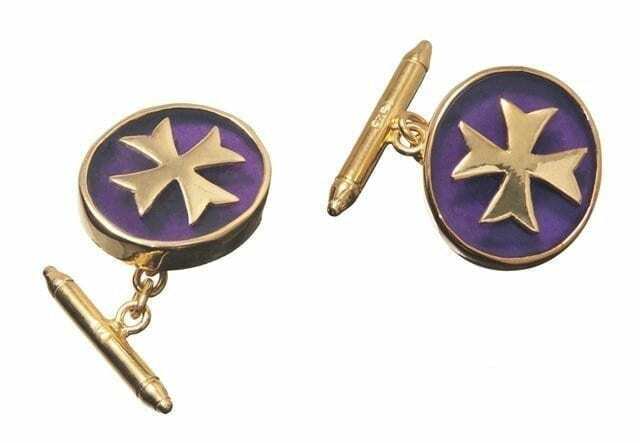 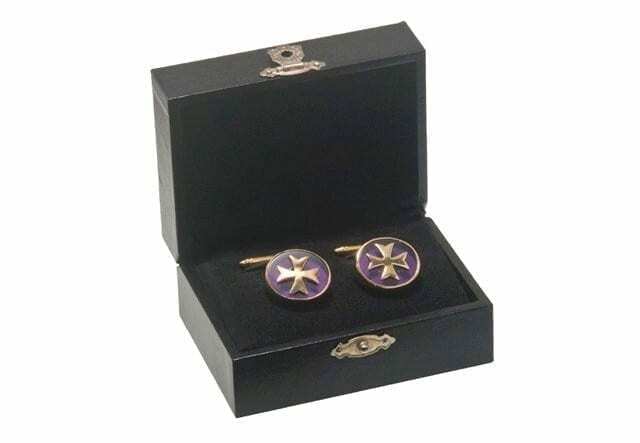 These Maltese Cross cufflinks are spectacular..The crosses and chain and baton fitments are made of solid sterling silver plated with 5 microns of 18 k yellow gold. 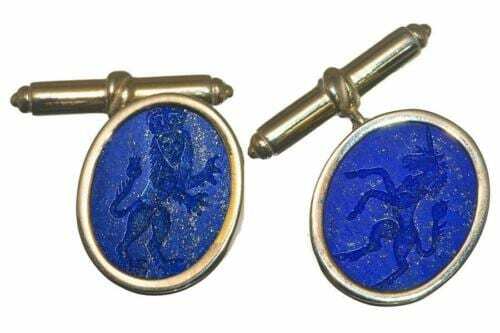 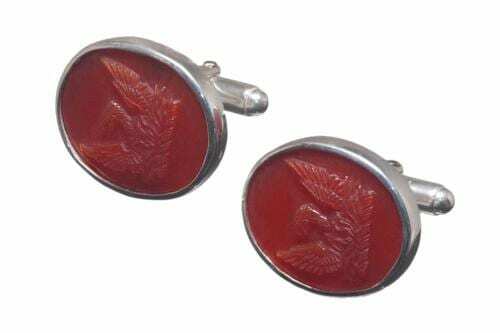 These interesting and beautiful cufflinks make excellent gifts and are a valuable addition to any wardrobe.